Four members of the Drayton Valley chapter of the Warlocks outlaw motorcycle club have been arrested and eight firearms were seized following an Alberta Law Enforcement Response Teams (ALERT) probe. Edmonton Combined Forces Special Enforcement Unit (CFSEU), with help from RCMP Drayton Valley, RCMP Emergency Response Team, and Edmonton city police members, executed a search warrant at a Drayton Valley residence associated to the Warlocks on March 21. 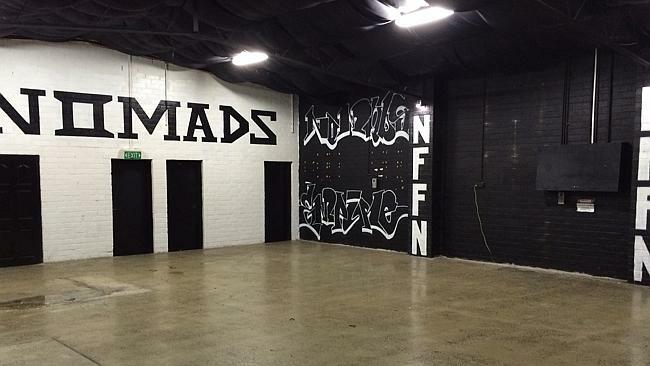 THE escalating statewide battle against outlaw bikie clubs is hitting home for gangs, with fortified clubhouses being torn apart and property confiscated. The Motorcycle Club Bandidos have announced on their website that they now also have a chapter in Alkmaar. This is their second chapter in The Netherlands. Two weeks ago, the Bandidos roared into The Netherlands, taking first Sittard, and now Alkmaar as new established homes. The Hells Angels, a big rival of the Bandidos, took their arrival as a provocation. By way of retaliation, dozens of Hells Angels rumbled into Sittard during a festival, to the ire of the general public. In Nieuwstadt, Limburg, explosives were thrown at the home of Harrie Ramakers, president of the Bandidos chapter in the areas. Who’s behind it is not known. FIVE former Finks bikies charged over a wild brawl at a Gold Coast festival have walked free from court with fines and community service. Clint Harris, Leslie Andrew Markham, Billy Raymond Thomas, Grant Gavin, Clarence Joseph Kercher and Martin Hannken pleaded guilty to affray over the melee at the Cooly Rocks On nostalgia festival at Coolangatta last June, several months before Queensland’s tough anti-bikie laws came in. A 61-year-old festival patron was assaulted and a classic car damaged during the clash between 14 Finks and Nomads bikies outside a beachfront cafe. Southport Magistrates Court heard frightened members of the public were forced to take cover as the brawling bikies wrestled over classic cars and bashed each other with furniture. Three members of the Bandidos motorcycle club were arrested on Wednesday afternoon in Geleen by the police due to breaking the Arms and Ammunition Law. Three of the Bandidos’ cars were also seized, and will be investigated. One of the arrested is Harry Ramakers, the president of the Limburg chapter of the Bandidos according to his lawyer Gitte Stevens, the Telegraaf reports. Police say the MC members were arrested in and around a house in the Waterstraat in Geleen. Ramakers landed in that house after his house in Nieuwstadt was targeted twice. Mayor Sjaar Cox of Sittard-Geleen proposed an emergency measure on Wednesday for his municipality to stem criminal motorcycle clubs. He did this after hearing speculation that the Bandidos wanted to throw a party in the house on Wednesday. THE Sergeant of Arms of the Airlie Beach chapter of the Outlaws Motorcycle Club has been fined $2200 under Queensland's new bikie laws. Zachary John Kunze was brought to the Proserpine Magistrate's Court in police custody on Monday, charged with possessing dangerous drugs and entering or remaining in a licensed premises while wearing or carrying a prohibited item. Duty lawyer Sherrie Meade originally applied for an adjournment but police prosecutor Elizabeth Cassells objected to bail. After a short conference, Ms Meade said the 34-year-old was prepared to plead guilty to the charges. "While he doesn't agree 100 per cent with the [prohibited item] charge, he would prefer to finalise the matter today," Ms Meade said. The court then heard that at 11.40pm on March 22, police were patrolling the Airlie Beach CBD when they saw Kunze on the footpath outside the Phoenix Bar. 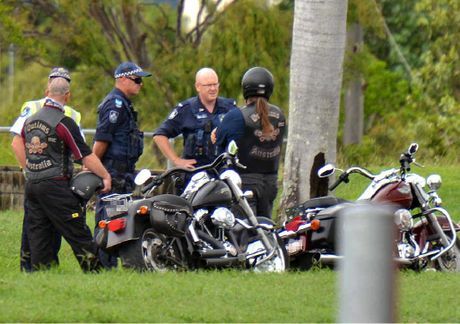 CAMPBELL Newman's laws against outlaw motorcycle gangs have been tested once again following the second funeral in two months for a bikie club member in Mackay. Motorcycle riders attending Ian Richard "Hairy" Hehir's funeral yesterday left alone or in pairs as a heavy police presence kept a close watch. A Mackay police spokesman said nothing "out of the ordinary" had been reported following the celebration of life service for the Outlaws club member at Newhaven Chapel. In a surprise move, federal prosecutors on Tuesday abandoned their criminal case against a San Jose lawyer who had been charged with playing a role in tipping off the target of a major South Bay drug investigation. Federal prosecutors did not explain a reason for the decision, which was disclosed in a brief court filing. But Hingle's lawyer told this newspaper that prosecutors dropped the case after being presented evidence showing there had been no wrongdoing. "The government did the right thing," said Mary McNamara, Hingle's lawyer. 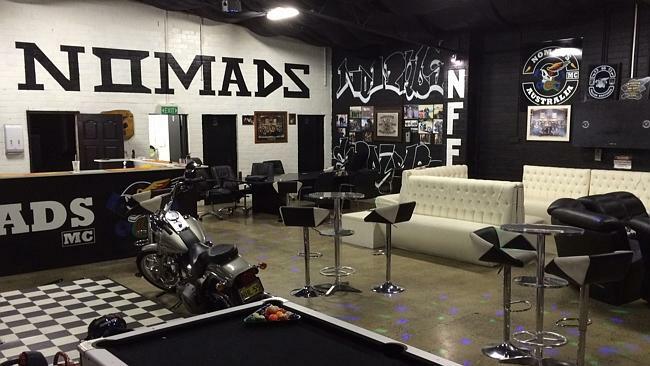 THE owners of a Cleveland tattoo parlour are fuming at new industry licences designed to crack down on outlaw motorcycle gangs. Two people were stabbed along the freeway south of Temecula Saturday, March 22, in a confrontation among motorcyclists that might have been triggered by road rage, authorities said. Around 6 p.m., a group of motorcyclists pulled over just north of the Border Patrol checkpoint along the northbound lanes of Interstate 15 and fought with each other, said Sgt. Kevin McDonald of the Riverside County Sheriff's Department. One man, who was stabbed repeatedly, was seriously hurt. The injured man drove away from the scene of the fight on his motorcycle and got off the freeway at Temecula Parkway, McDonald said. He collapsed along the offramp, where he was found by officers. He was admitted to a hospital but his injuries did not appear to be life threatening, McDonald said. A second injured motorcyclist drove himself to a hospital for treatment of superficial stab wounds, he said.